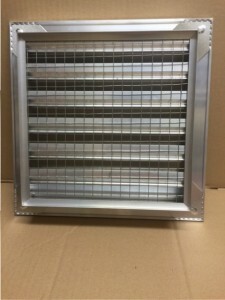 Type WL External Louvres are made from extruded aluminium complete with bird screen or insect mesh normally as standard. 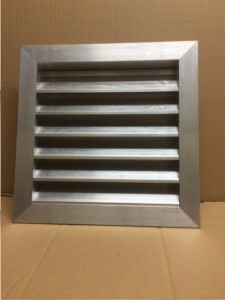 A unique blade profile designed to prevent ingress of rain assured. Available in 38mm pitch blades which normally used for sizes up to 1000mm. 50 and 75mm pitch blades also available and all with 45 degree fixed sloped blades. Larger sizes may have to be made in sections and to be discusses when ordering. Standard finish is mill aluminium but RAL or BS colours available on request.